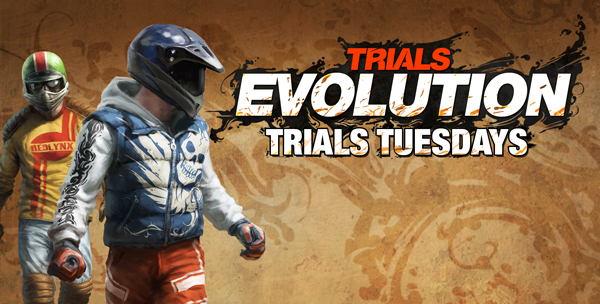 The anticipation for Trials Evolution is insane but it’s only two more weeks until you get your hands on it. Leading up to the weeks, RedLynx has been kind enough to send a video our way of one of the Extreme levels, Dark City Run. The level designer on Dark City Run walks us through the level and what kind of changes have been put in place since Trials HD. The dark, gritty style is said to resemble Sin City with shades of red around a black and white landscape. The level itself looks even trickier, with appropriate loops to be made and moving cars on the street. Don’t forget about the power lines being down. One other cool tidbit is RedLynx will be posting Editor Tutorial Videos today, with up to 30 planned videos. We’ll be posting them as well up until launch so be sure to mark April 18 off your calendar, it’s going to be a bumpy ride. Trials HD redlynx racing Trials: Evolution stunts motorcycle.